Sunday evening the Pakistan Cricket team will face off Sri Lanka at Lords Cricket Stadium for the Twenty20 World Cup Final. Naturally our prayers are with the team, many supporters will actually be at the venue to support the team, while many will rally in front of their TV sets amongst friends and family, rooting for each four and each six that our team may hit against Sri Lanka or for that matter we shall celebrate each Sri Lankan wicket that does find its way into the dressing room. The last time we here in Pakistan managed to ‘trend’ was during the Long March with the keyword ‘#LongMarch’ I like many digital activists in Pakistan believe that this attempt serves many purposes, firstly the world notices that Pakistan is playing a crunch time cricket match, secondly it will serve to uplift the moral of Pakistan which has for sometime been ruthlessly battered amidst bomb blasts and terror strikes thirdly it is important to bring the patriotic spirit back into Pakistanis. This campaign is NOT about one person, or one team but a true nationwide rallying support. We are aware there is a technological gap that needs to be fulfilled, as not many people are aware of what twitter.com might actually be, this mere inconvenience can easily be overcome. 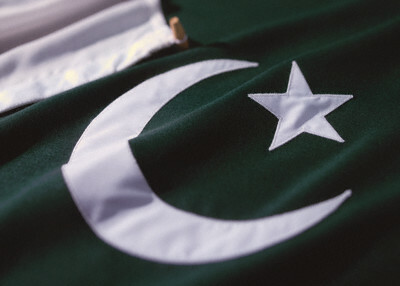 Just changed my Twitter Picture to that Pakistani flag. Inshallah our team will return home with the cup. Long Live Pakistan, Long Live Cricket! Pak cricket team would be under pressure due to Lahore attacked at sri lankan team. Sri Lankan team might use Sledging to upset Pakistanis as being Terrorists or else…. It would be good to see our team win but our team is inconsistent and uncertain team in the world and they are not fav as lankans are but it is good becuz there'd be alot of pressure on lankan team instead of pak team being a fav its always pressurize 2 perform. We all have been distracted by Entertainment, Sports and Trivia hope our cricket team would win this T20 WC for their nation who are sordidly sick by ongoing war. Twitter isn't working on my PPC as soon as it will i gonna sign up and do the rest define above. Pakistan Zinda-baad Its enemies Murda-baad. i am ready to support inspite my intense hatred for cricketers of pakistani cricket team and cricket but first assure me that satta will not come in the game and pakistani cricket team would play honestly. i am affaraid many cricketers of pakistani team will involve in match fixing. after all in the end money rules and rest is just a chit chat of emotiionaly fools like us. Twitter outplayed all other social medias in this T20 Game. Every single shot, every single wicket pours in thousands of tweets as if twitter is their virtual cricket stadium and they did something very astonishing, an entire new trend – they changed their display pictures to Green. I Love my team .Plz carry on yonus captancy. and win icc world cup 2011 for us and our pakistan. and plz solve players meters. Thank you for this fantastic write-up. Together with the world cup coming around you're starting to get much better discussions on sports around the globe. Keep it up please. The web needs it.